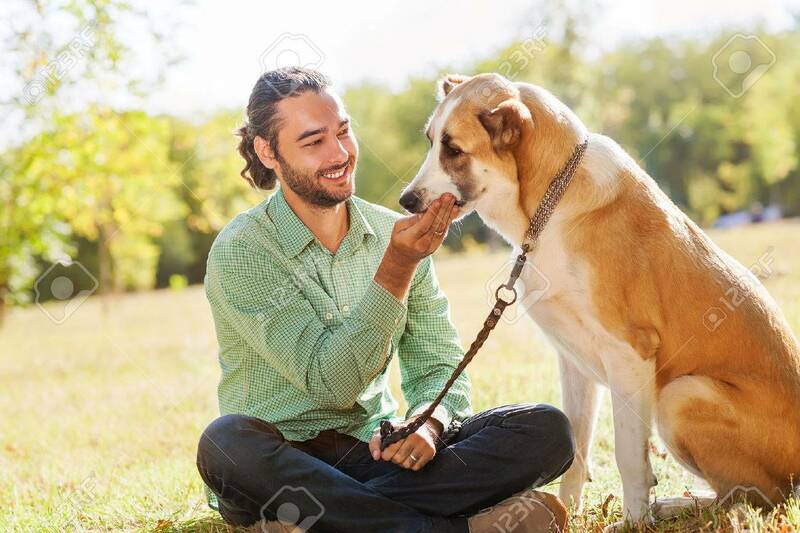 Man And Central Asian Shepherd Walk In The Park. He Keeps The.. Stock Photo, Picture And Royalty Free Image. Image 22938153.